Norwegian Wood meets The Tao of Pooh in this philosophical, witty, and heartwarming collection of daily observations from a Swedish academic-turned-sheep farmer who finds peace and meaning outside the hustle and bustle of modern, urban life. One of the fun things about keeping sheep is that now and then it feels like something other than a job or a duty. Perhaps the feeling can best be summed up by the idea that it’s not I who keep the sheep, but the sheep who keep me. 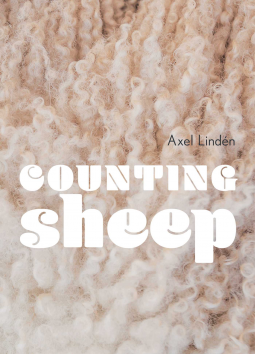 When Axel Lindén leaves his literary life in the city for the farm he unexpectedly inherits—along with the ever-escaping flock of sheep that comes with it—he has a fairly naïve notion of what farm life will be: pure drudgery. But as time passes and Axel slowly settles into the rhythms of the farm and shepherding, his naiveté fades away and is gradually replaced with a new appreciation of the spiritual and emotional value of manual labor, caring for other living things, and staying connected to the earth. Capturing his observations and thoughts in short diary entries, Counting Sheep is a meditative and irresistibly delightful book that delves into the small wonders of our world and celebrates pastoral life, demonstrating that it’s often the little things in life that mean the most.